Meet Charlotte Baker. Charlotte was stuck at a job she hated, with no opportunity for growth or promotion. She stumbled upon Skillcrush, and instantly knew this was exactly the ticket to a more creative, interesting, and fun career path. Within a few months, she serendipitously got hired for to manage a web site! 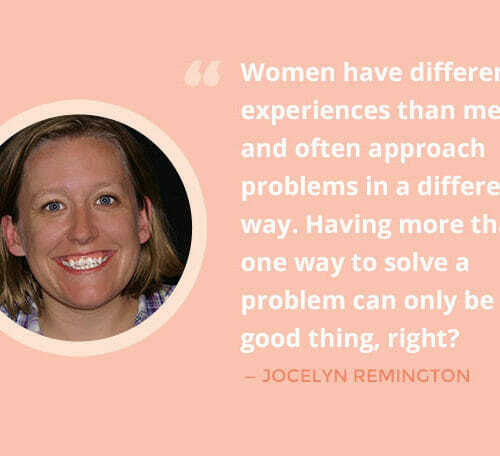 Read on to hear her inspiring story of how she made her dream job come true. Tell us about your new job (and how you found it!). I complained (nearly nonstop) to one of my friends about my last job. She got the brunt of it when I was unhappy! 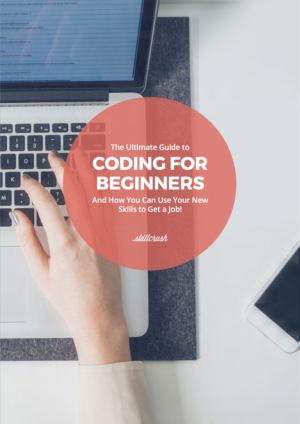 After I started Skillcrush, I often talked to her about my journey into learning to code. She knew I felt really empowered and excited about it. I now work as a Marketing Coordinator for a local nonprofit called the Shelter Ministries of Dallas. I handle everything from print design to media requests. I am actually going to be redesigning the website on my own as one of my next projects! What motivated you to learn digital skills in the first place? Because of my terrible job situation (below), I decided that I needed to find a way to challenge myself and get involved in learning SOMETHING. I had no idea WHAT I wanted to learn though. I found Skillcrush through an email from Gilt (and I NEVER open those!) and that’s what first made me think about learning to code. The more I investigated, the more perfect it seemed… a creative, flexible, design-driven industry, seemingly limitless opportunities for growth, and a ton of resources for learning? I was sold. I felt completely stuck at the job I was in. No opportunities for growth or enrichment, I wasn’t being challenged or using my talents, and I hated the day-to-day atmosphere and tasks. I was driving my friends and family crazy with complaining, but I didn’t know what else to do. I knew that whatever move I made would involve more education (a BA in psychology doesn’t get you very far in the real world), but I wasn’t making enough money to enroll in a traditional program. I felt totally stuck. What is it like after Skillcrush? So, shortly after taking Skillcrush 101 and developing this dream of coding and designing on the side, I got fired. Which turned out to be the best possible thing! I felt torn between getting another entry level job as an admin or customer service agent or something, and really going after the tech idea with ZERO experience. When my friend called to ask if I’d be interested in managing the nonprofit website on a contract basis, I was thrilled. Since it was only part-time, I continued looking for another job. However, the non profit ended up creating a new full-time marketing position, just for me! 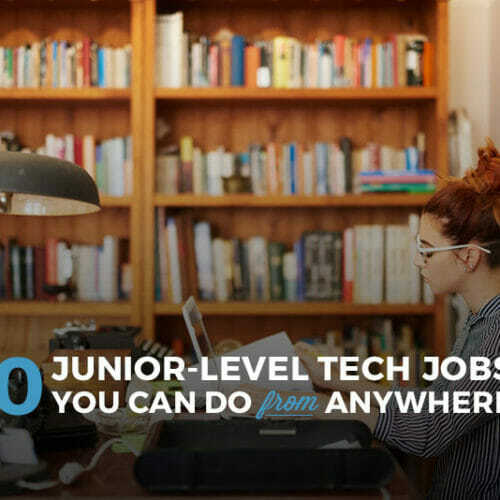 Because of my ability to understand HTML & CSS and my willingness to learn whatever else I needed to, they decided to create an entirely new position. I’m literally the happiest I’ve ever been! I get to learn, create, design, write and any number of other things for a cause I’m passionate about. And I really do credit Skillcrush for so much of that, not just because of the literal knowledge I’ve gained through the courses, but for the confidence to say yes to this job when I wasn’t sure I’d have what it takes. 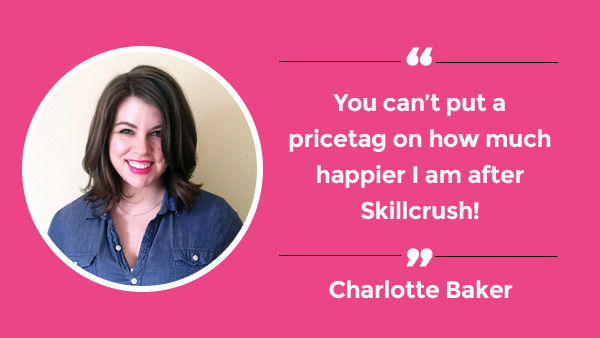 The skills I learned from Skillcrush opened doors I’d never even dreamed of. Ready to change your career? Enroll in a Skillcrush Career Blueprint today! Monday, March 17th is the last day to enroll. So rad! You crushed it Charlotte! !